These workshops are being offered through Amazon Community Center (541-682-5373) and Campbell Community Center (541-682-5318); Willamalane Adult Activity Center (541-736-4444); and River Road Park (541-688-4052) in the Eugene/Springfield area. Please register directly with your preferred location. See their catalogs or our calendar for dates and times. Cost is $20 in district/$24 out of district for all classes. We offer any of these workshops to private groups of 6–16 with advance scheduling. Each workshop is about 2 hours long unless otherwise noted. Cost starts at $15 per person and goes down with more participants. Host is free with at least 6 other participants. Contact us at info@suburbanhomecraft.com if you would like any of these classes for your private group or in outlying communities. Come find out how you can start living more simply, sustainably, and cheaply. We will discuss why we do what we do, how to decide where to start and how to get the best return on your efforts. We will also discuss topics for the remainder of the series. If you are interested in any of the homesteading classes, we encourage you to join us for this discussion. 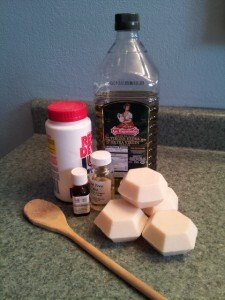 Learn the basics of making Castile cold process bar soap from scratch. We will discuss the chemistry of saponification, properties of different base oils and local sources, and fragrance oils and other additives while we make a batch of soap. You will also learn how to make liquid soap and two forms of laundry soap. Take home a share of the soap we produce. 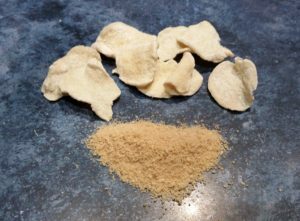 Ginger can be used for a number of sweet or savory treats. Come cook up a batch of candied ginger, ginger syrup (makes a fantastic ginger ale with club soda), ginger sugar (great for baking), and pickled ginger for sushi. These all make great gifts and you can take home a share of what we make. Essential oils have potent active compounds that can promote healing and sooth irritation when applied topically, and some have psychoactive compounds that can calm, stimulate, or refresh when inhaled. This will be a science-based class on the uses of essential oils as aromatherapy and topical treatments, including precautions to avoid unsafe practices. 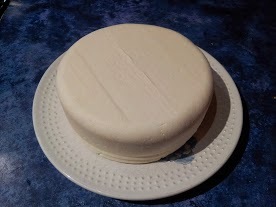 Learn how to make a fresh hard cheese and ricotta, and learn about different hard and soft cheese cultures and processes. We will go through the entire process from cultured milk to formed cheese ready for the press. We will also go over how to make yogurt and kefir (freebie: for detailed instructions on making yogurt, see our recipes page). Learn how to catch, care for, and use a wild sourdough culture. 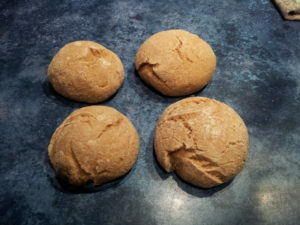 We will also go over regular bread baking techniques for those who want to start simple. Over the course of this class, we will make a batch of sourdough bread while we learn about proofing, the complex biology of a vital sourdough culture, and tips and tricks to get that great artisanal style bread in your own kitchen. Take home your own small round loaf and a sourdough culture. Learn natural fermentation basics as we turn a head (or several) of Napa cabbage and a bunch of other goodies, along with some salt into a batch of kimchi and take home a pint to ferment and enjoy for yourself. You will also learn how to make sauerkraut, kombucha, vinegar, and gurken pickles. There will be kombucha SCOBY to take home for anyone who wants it. Ready to explore the world of fermentation? 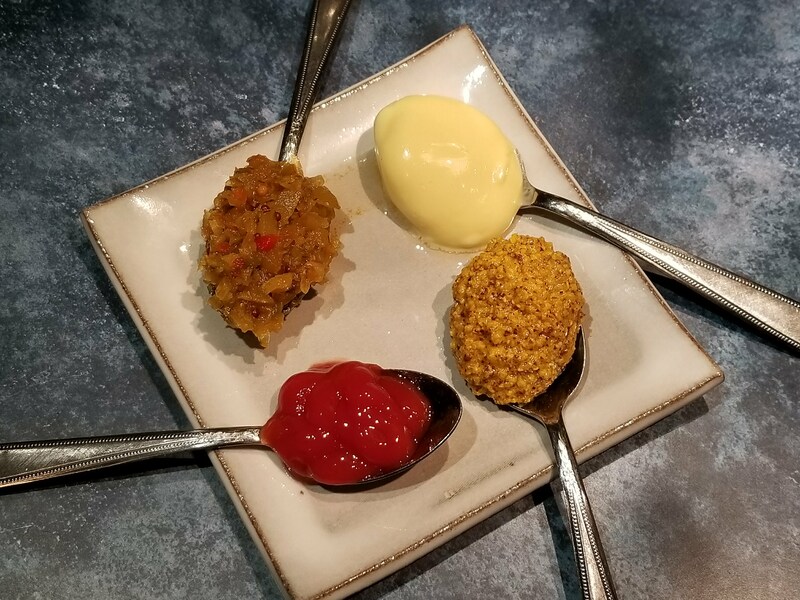 Learn how to make your own fermented pickles, salsa, hot sauce, a variety of fermented non-alcoholic beverages, and even corned beef. No prior fermentation experience required. We’ll make a habanero hot sauce and gardiniera in class. Take home a jar of each. 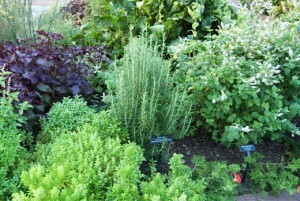 Almost everyone has room for a small herb garden. Learn which herbs grow well in pots, how to keep your herbs happy and productive, and how to store them dried or frozen. We will also discuss many non-culinary uses for herbs. There will be a selection of herb seeds to share. There is a lot of information out there that makes home preserving sound complicated and potentially dangerous. With a few simple precautions, it is neither of those. Learn the basics and benefits of home preserving and start eating cheaper, fresher, healthier, and more local. We will discuss in detail proper canning techniques, including what you can and can’t process in a steam canner, blanching and freezing techniques, and drying herbs, fruits, and vegetables. 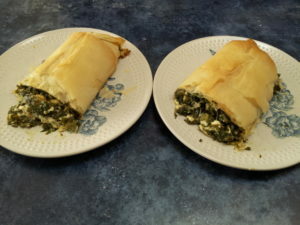 We will also talk about which methods are best for a variety of foods and why. 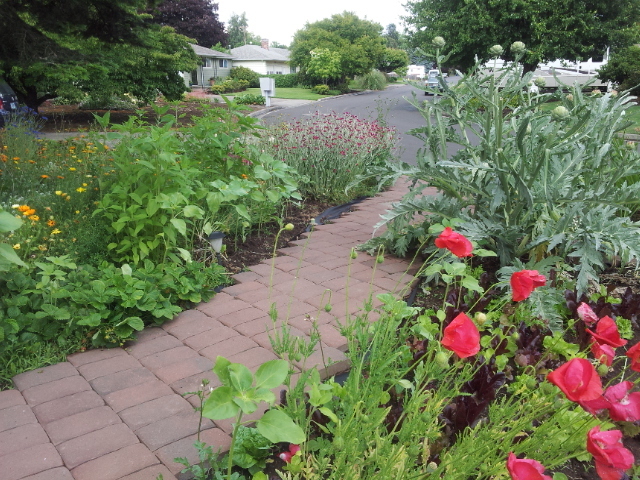 Don’t just pull those weeds – eat them! Find out what native “weeds” are edible and how to prepare them. You’ll be surprised at how much food you’ve been pulling up and throwing in the yard waste. Learn about common wild foraging plants – berries, flowers, greens, roots, and common mushrooms – and their habitats. Note: This class is at our property. Address and directions available with registration. 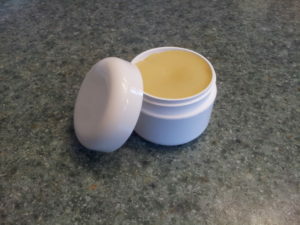 Learn to make hand/lip balms, skin creams, and herbal salves for gifts or a treat for yourself. Take home a share of what we make in class. Learn how to prune fruit trees and grapes for form and productivity – thinning, recognizing fruiting spurs, and directing growth patterns. 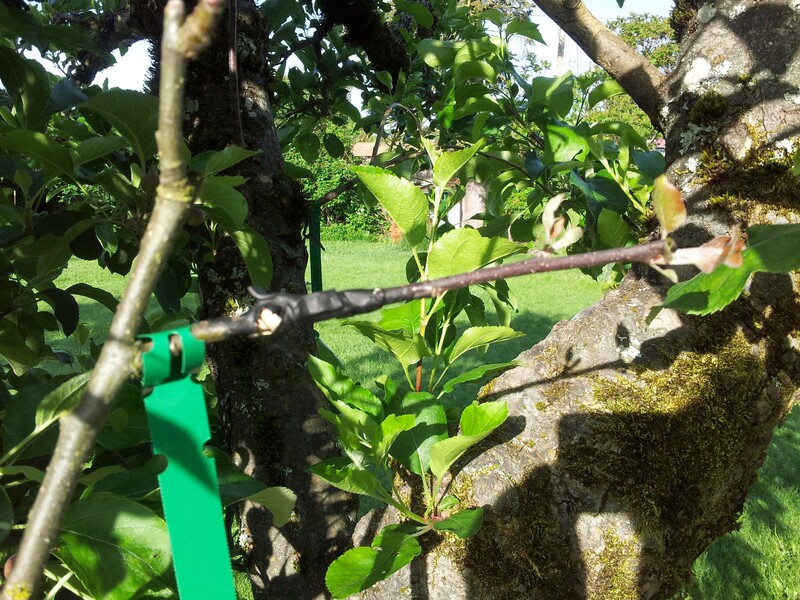 Learn how to graft new varieties onto existing trees or rootstock in time to take advantage of the free fruit grafting material from Eugene’s annual Propagation Fair in March. Note: This class is at our property. Address and directions available with registration. 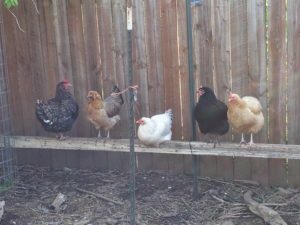 There is nothing like fresh backyard eggs. 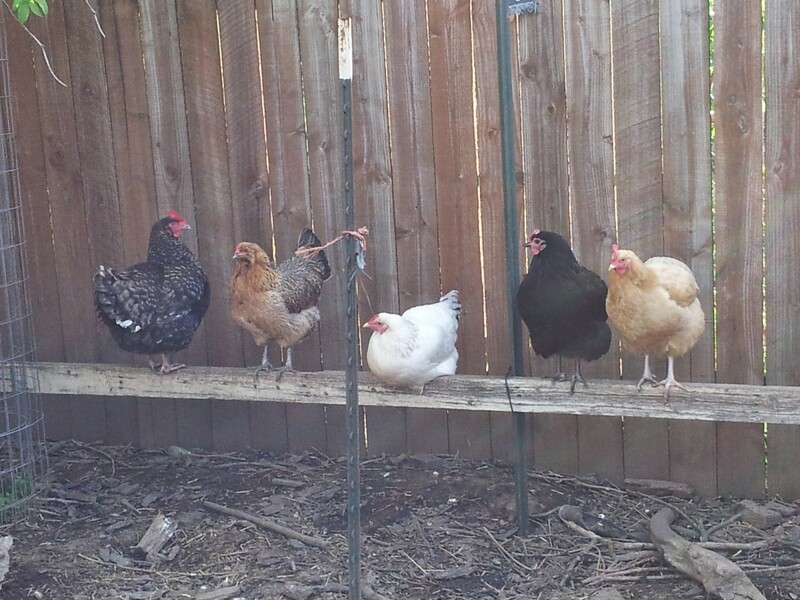 Learn how to raise laying hens and ducks in the backyard from chicks to adult birds. Learn which breeds to pick based on productivity, temperament, and available space; practical and code requirements; diseases, predators, and other health issues. Time to get the garden ready for spring and start those warm-weather plants indoors. Get composting tips, natural pest control options, seed starting tips, and more. 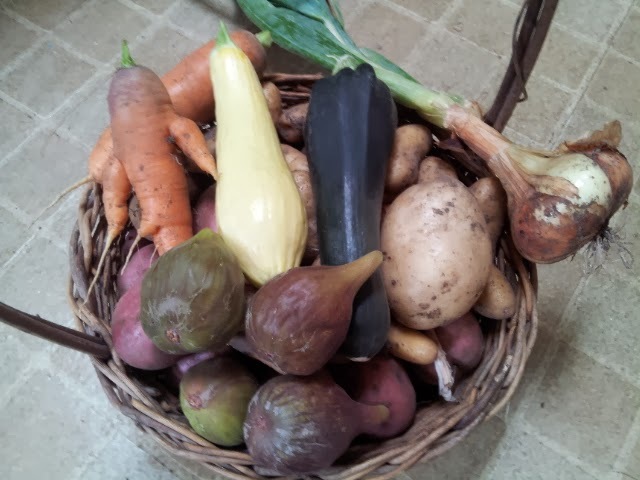 A selection of locally adapted vegetable seeds is included. 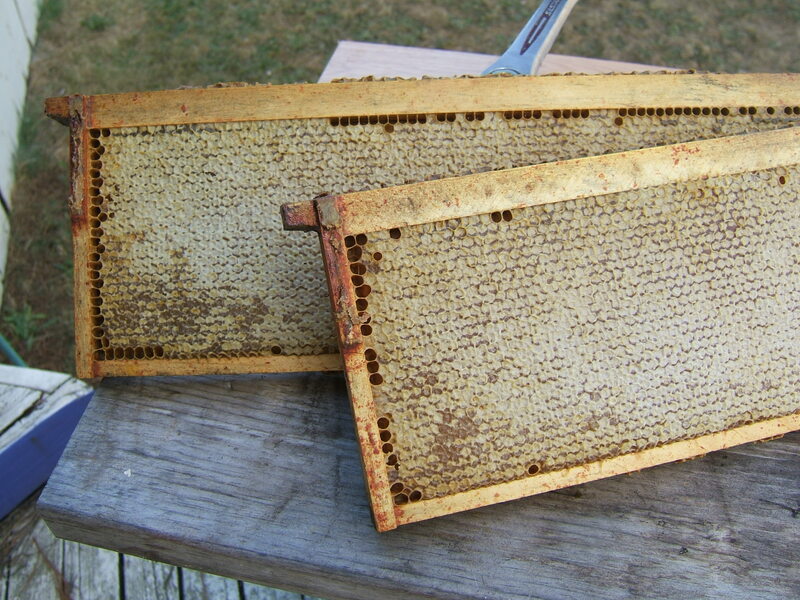 Beekeeping can be a rewarding hobby and provide quality local honey for your family. 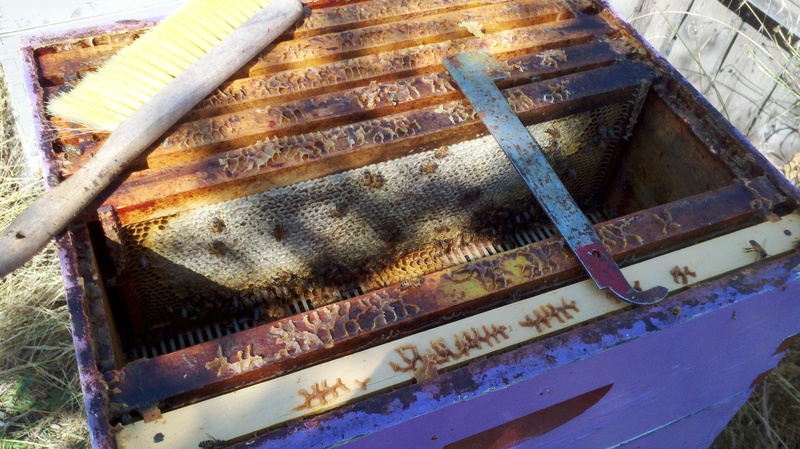 Learn beekeeping basics – equipment, supplies, sources, and techniques – before you commit to your own hives. Learn about current issues with beekeeping, local laws, common diseases and pests, and their treatment options. If you love sausages but hate not really knowing what goes into the ones from the grocery store, you can learn how to make your own from whole ingredients. Develop your own spice mix so your sausage is as mild or spicy as you like. The Willamette Valley is an ideal place to grow food all year round. 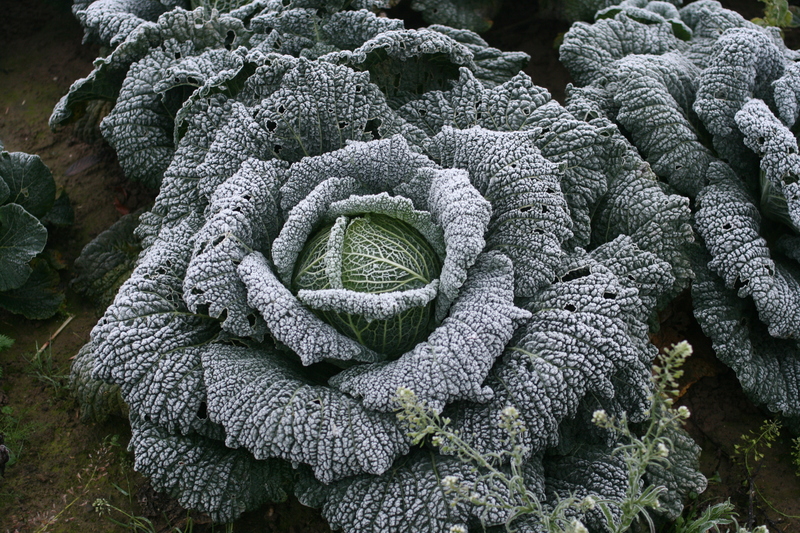 Learn how to plant out a winter garden to have produce all winter long and into spring. Learn which vegetables do well over winter in our climate, and how to maximize production from a small space. Also learn about saving seed and sources for free vegetable and flower seeds. 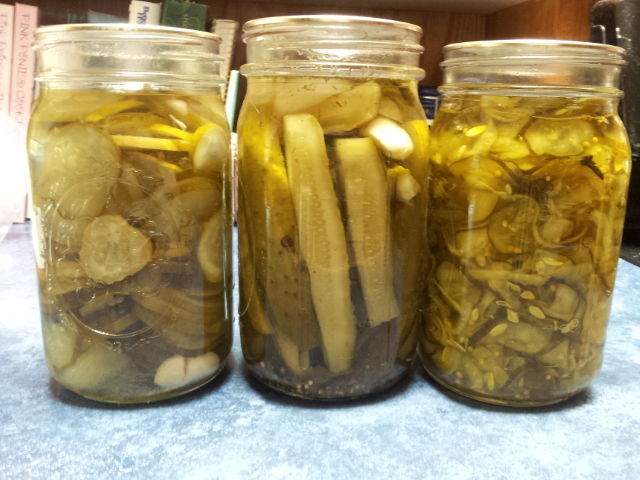 Dill pickles are about the easiest thing to can. If you are new to canning, here is where to start. 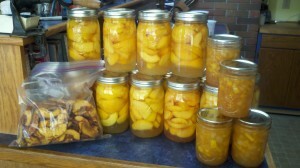 We will work up a batch and learn about the equipment and techniques of canning. 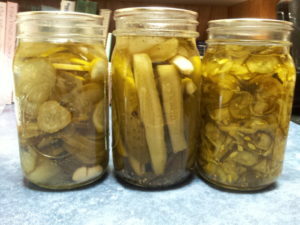 Take home your own jar of pickles. 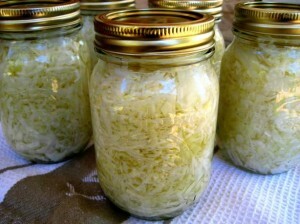 Learn natural fermentation basics as we turn a head (or several) of cabbage along with some salt into a batch of sauerkraut and take home a pint to ferment and enjoy for yourself. You will also learn how to make kimchi, kombucha, vinegar, and gurken pickles. There will be kombucha SCOBY to take home for anyone who wants it. 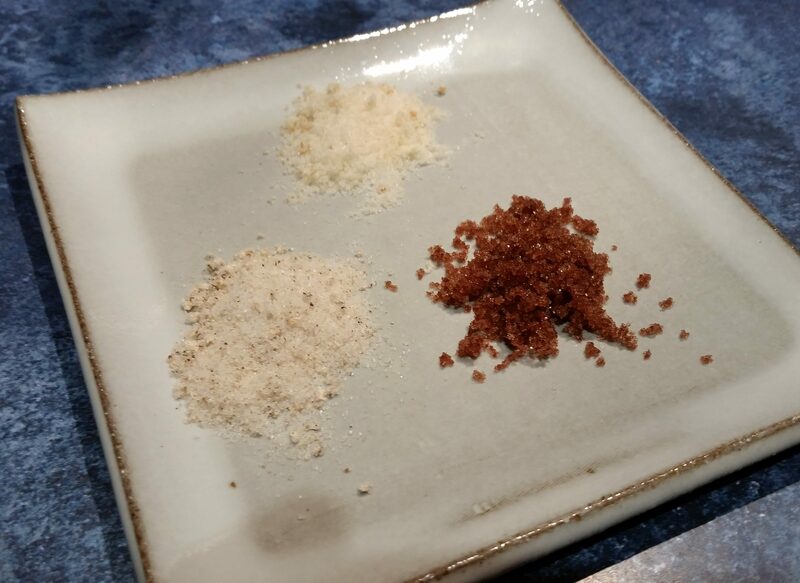 Learn to make smoked, herbed, citrus, and wine-infused salt, and flavored sugars for a special finishing touch on your cooking and baking. Take home a share of what we make in class. 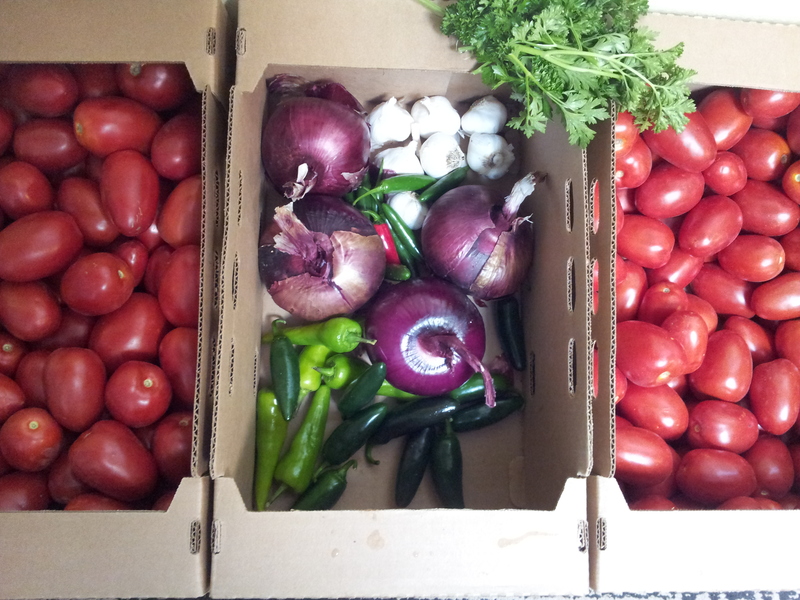 Put the last of the tomatoes, onions, peppers, and herbs of the year together for a great home-made salsa. 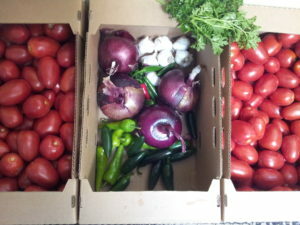 We will make some fresh salsa and a batch of canned salsa for everyone to take home. The secret to fabulous applesauce is to use fabulous apples. With great apples, there is no need for extra sugar or any other additions. 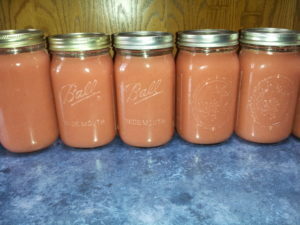 We will make and can a batch of fresh applesauce and everyone can take home a pint. Your bees have been busy all summer. Learn how to efficiently get all that honey out of the hive and into jars with a minimum of disruption for your hive. 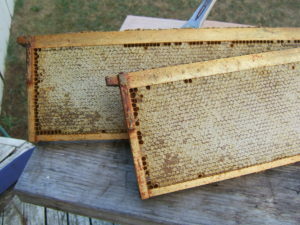 Plans for a home-made honey extractor available. Learn about current issues with beekeeping, local laws, common diseases and pests, and their treatment options. Eating with the seasons can be a challenge, but is healthy and satisfying, and can also save you a lot of money. Learn local sources of in-season produce, how to track and plan seasonally, and how to incorporate your own preserved foods. Gardening basics and more advanced techniques will include starts vs. direct sowing, co-planting, beneficial insects and how to attract them, soil amendments, maximizing limited space, saving seed, and winter gardening. 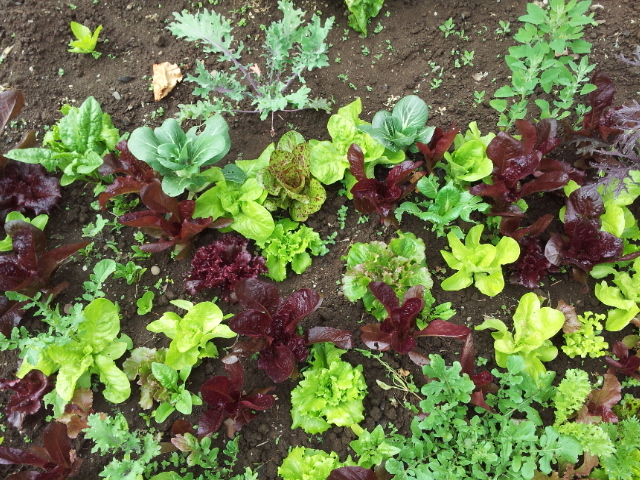 A selection of locally adapted vegetable seeds is included. 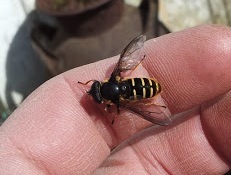 There is a whole host of insects out there to help your garden grow and produce. Learn about predatory flies, beetles, assassin bugs, and many other predators, pollinators, and composters, and how to attract them and get them working for you. You’ll be surprised at how many there really are. Next class: June 8, 2019. Know where your meat comes from! This is a hands-on butchering workshop, so come dressed appropriately. 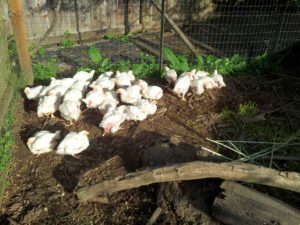 We will discuss meat breeds of chicken and duck, sources, care of young and maturing birds, and butchering techniques and options. We will then butcher a mature flock of meat chickens, run them through a home-built plucker (plans available for free), clean them (with internal anatomy lesson), chill them, and part them out for freezing. Participants can take home a fully dressed-out chicken. It can be tough to get a good breakfast on a busy workday morning. Learn some recipes and options for some healthy make-ahead staples and quick, easy breakfast ideas. 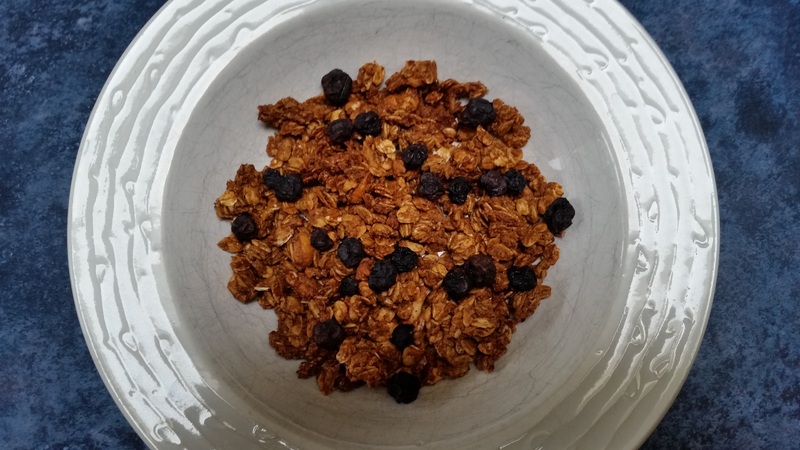 We’ll make a batch of granola in class for everyone to share. Learn how to get started for people who are new to the skill. 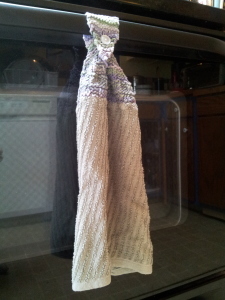 Learn the basic stitches and go home with the start of a wash cloth and instructions for finishing it. 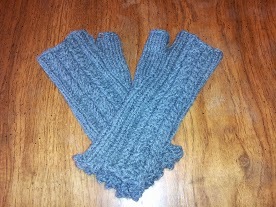 Bring a pair of size 5-10 needles and a skein of worsted weight yarn (or buy here). Learn more stitches, increases, decreases, and other techniques. Leave with a started project and a pattern. Bring a set of 4 or 5 needles sized 6–10 and worsted weight or greater yarn to match needle size. 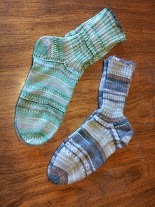 Get instruction in knitting socks, including cuff, heel, and toe. 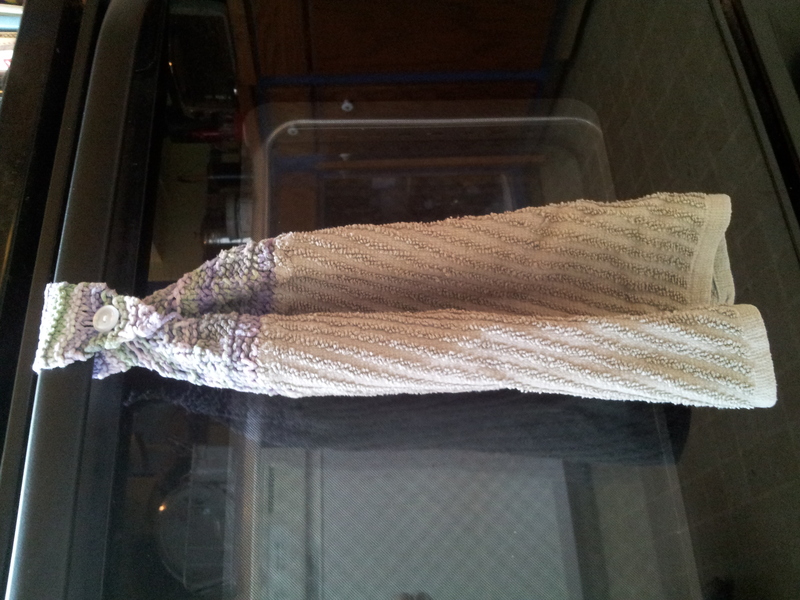 Leave with the start of your own socks and how to make your own patterns. Register/schedule for private groups by phone or email.